President Muhammadu Buhari was banned from entering the United States because Americans had reservations about his religious views, former Vice President Atiku Abubakar said Friday. Critics have long accused Mr. Buhari of holding extreme religious views that antithetical to modern democratic principles. In 2001, Mr. Buhari drew nationwide backlash when he declared his total commitment to Islamic doctrine of Shari’a and called on Muslims to only vote for their fellow Muslims during elections. But the president has denied being an extremist, saying he tolerates other religions as much as he does his Muslim faith. “For about 15 years, Buhari could not enter America on account of religious considerations,” Mr. Abubakar said in an interview with Dele Momodu which was published in The Boss Newspaper Saturday. Mr. Momodu had asked Mr. Abubakar why he had not been able to visit the United States for many years, amid speculations that he is wanted in that country for a slew of sharp practices. Mr. Abubakar, who is expected to run for president in 2019, said the U.S. authorities have nothing against him. He said he was able to visit Europe regularly without being arrested for onward extradition to the U.S. The former vice president said if Nigerians elect him president, he would be allowed into the United States just like Mr. Buhari and Indian Prime Minister Narendra Modi, both of whom are now being accorded red carpet treatments in the U.S. after becoming leaders of their respective countries. Mr. Abubakar was named in at least one fraudulent deal in the United States, which involved contract award in Nigeria. An American congressman Williams Jefferson was jailed in 2009 after being convicted by the FBI in relation to that case. A $100,000 cash which federal agents found in Mr. Jefferson’s apartment during a raid was said to have been from Mr. Abubakar. Mr. Jefferson acted as a middleman in the deal, which saw him use his political connection to top Nigerian officials to get the broadband contract for iGate, a company linked to his immediate family members. The U.S. Embassy in Abuja did not immediately respond to PREMIUM TIMES email seeking comments Saturday afternoon. Presidential spokespersons Femi Adesina and Garba Shehu, did not immediately respond to PREMIUM TIMES’ requests for comments Saturday. Mr. Abubakar, vice-president from 1999-2007, dumped the ruling All Progressives Congress last week Friday, citing failure by the Buhari administration to improve the quality of life in the country and neglect of the youth in federal cabinet appointment. 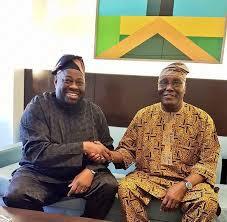 His political allies have indicated that Mr. Atiku was on his way to the opposition Peoples Democratic Party, which has opened its doors to him.